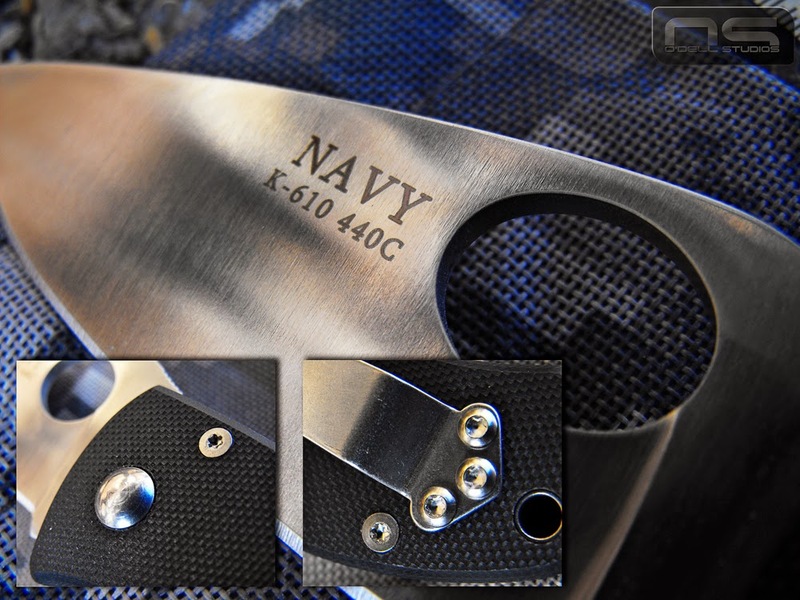 I hadn't paid a whole lot of attention to the Navy brand folding knives even though I have enjoyed modding several other cheap Chinese brands like Enlan and their relatives. If memory serves I recall reading a few less than stellar opinions of the Navy brand, but since that time I've seen them pop up here and there and the owners seem perfectly happy with them. 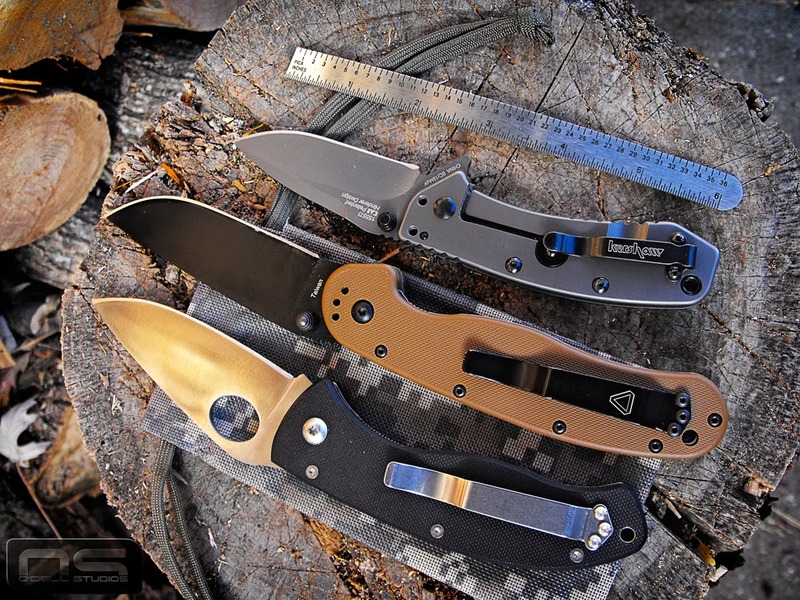 What I didn't know is that they have a handful of Spyderco knock offs. I've had a Tenacious on my kinda want list for awhile and they are about $40.00 right now. Honestly it's the shape of the Tenacious and their whole Chinese line that attracts me to them more than the price because most of their knives don't do much for me overall. As luck would have it this Navy appears to be a direct Tenacious copy. This is an introductory post so I have resisted the urge to tear it apart and begin my modifications. For that reason I haven't really had a chance to get any use out of it. But, for $25.00 and the assumption that it's correctly made 440C, it should be a relatively good value. $25.00 seems a bit high all things considered and so if it turns out to be a dud then I fully recant my value comment. On paper however, it's looking decent. It's much larger than the Enlans I've modded in the past, maybe even twice the knife, so twice the price feels reasonable. It would be a steal at $15 or $20. But it is large indeed. I think it'll be fine for EDC use for anyone who isn't turned off by a larger blade. It's pretty wide, and although shorter than an Ontario RAT 1, still at the beginning of what I consider large folders - about all the bigger I want to carry in my front pocket. The RAT 1 isn't narrow and the Navy K-610 is wider still actually exactly the same after taking measurements. This might be a plus in that a larger folder should probably fill the hand better to facilitate harder use tasks. As with all the Chinese G-10 I've encountered it feels very dry and very grippy - far more than any of my other knives. It seems a shame to get rid of it but it just looks bland. It is also probably a pocket shredder. If you want a hard use beater knife though, something like this is the way to go. It's got pretty fat liners and you aren't going to be slipping on the G-10 they way it's textured on these things - no way, no how. The lock-up is solid so I suspect it's got plenty of brawn for a working blade. As one might expect however, it needs some work even for general use. Opening on my unit is very stiff and rough so at a minimum it's going to need cleaned and lubed, then adjusted to suit your preferences. Picture time. 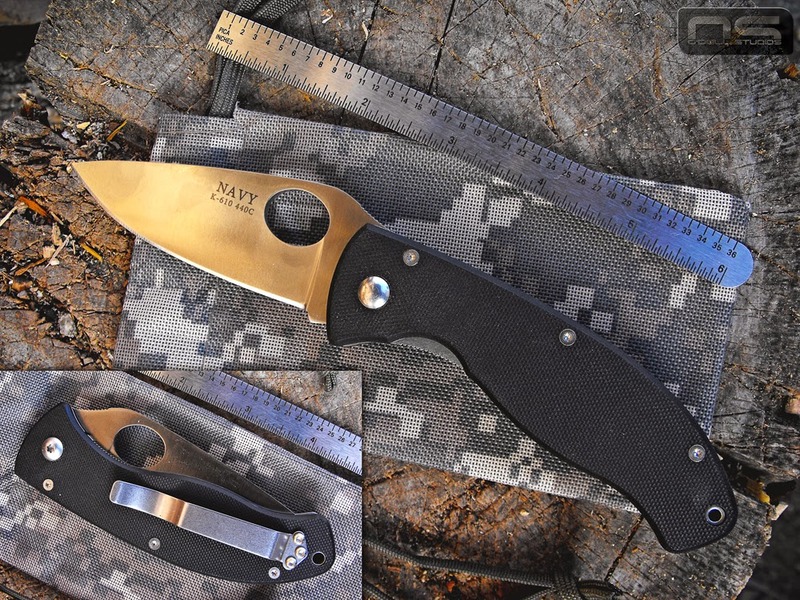 Good looking knife overall - attractive shape - total Tenacious knock off. 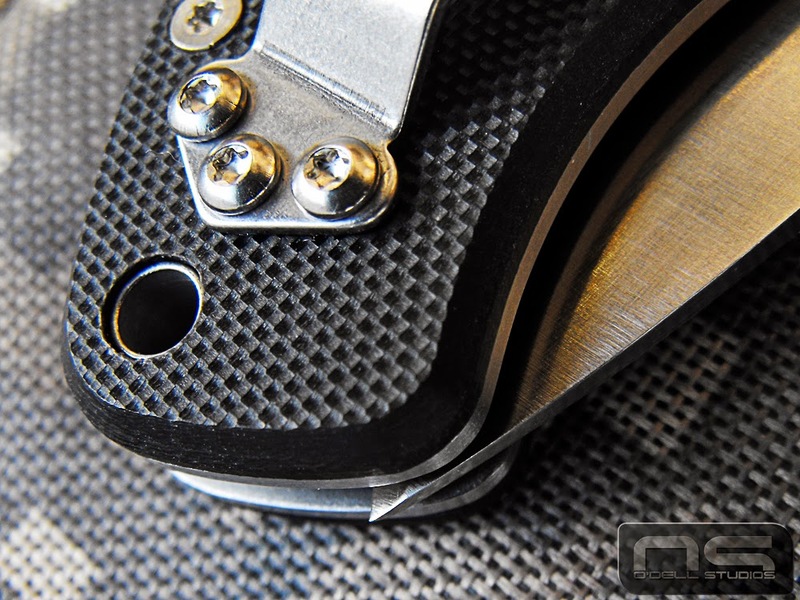 The Thumb hole and pocket clip arrangement are the most obvious departures from the Spyderco blade. 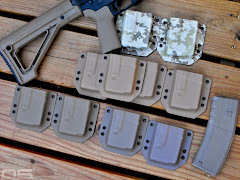 The K-610 came in the nifty little camo pouch in the picture. I would say it feels larger than the RAT 1 (center) even though it is shorter. There is more blade to work with and a more hand filling handle. I will say that the RAT 1 feels right in the hand, but less so when you bear down on it. Well executed markings on the blade with a clean even finish overall. The hardware appears to be in decent condition and as yet the only place I've found thread locker has been on the pivot screw. I am sure it's cheap hardware though and the finish is rough generally speaking. A quick spin on some sandpaper will do a lot to make it look nicer. Here is the first rough work I found. There is a nasty deformation where the blade hits the stop pin when closed. I suspect that this could have possibly been peened on purpose in order to stop the blade sooner. 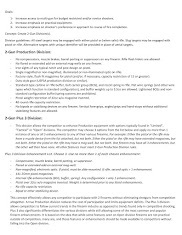 See next image. I had trouble capturing this but the blade actually touches the lanyard tube when the knife is closed. If the peening seen above was on purpose, it failed. Bye, bye lanyard hole. 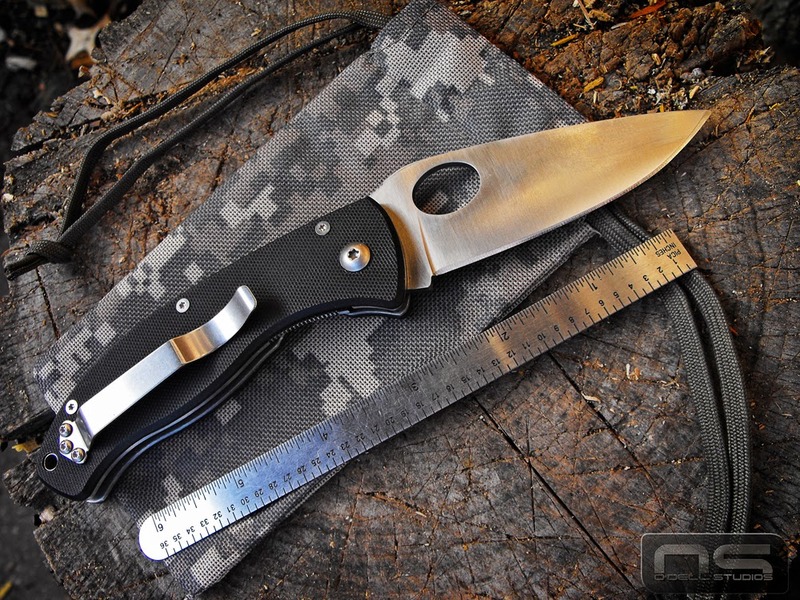 The is one of few el cheapo knives (and not many less cheap knives) where I like the way the lanyard hole worked into the appearance of the whole package. Without it, there is a whole lot of nothing below the last pillar so I might have a shot at making a back spacer. Also, the edge grind isn't as bad as this picture would suggest, someone just got a little carried away at the tip. It's actually pretty even along the rest of the blade. 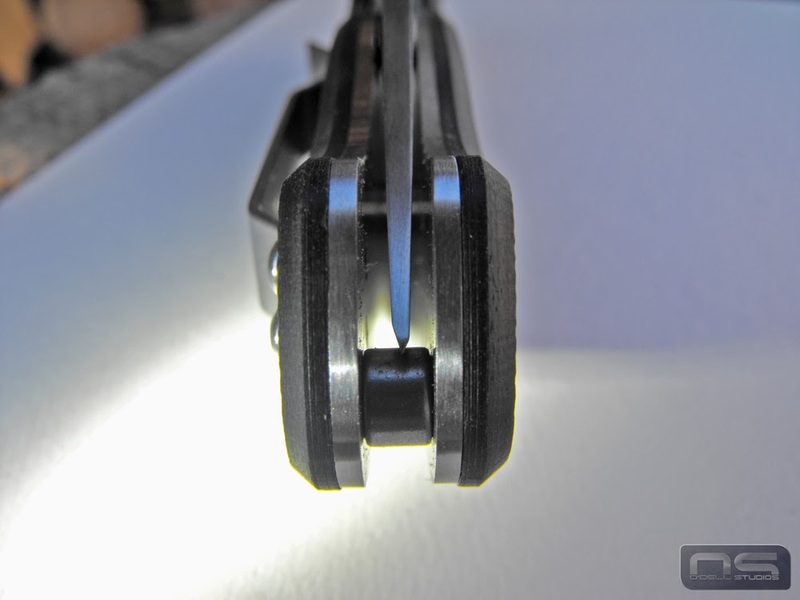 I took this picture to demonstrate that the blade wasn't given a ton of clearance in the closed position. 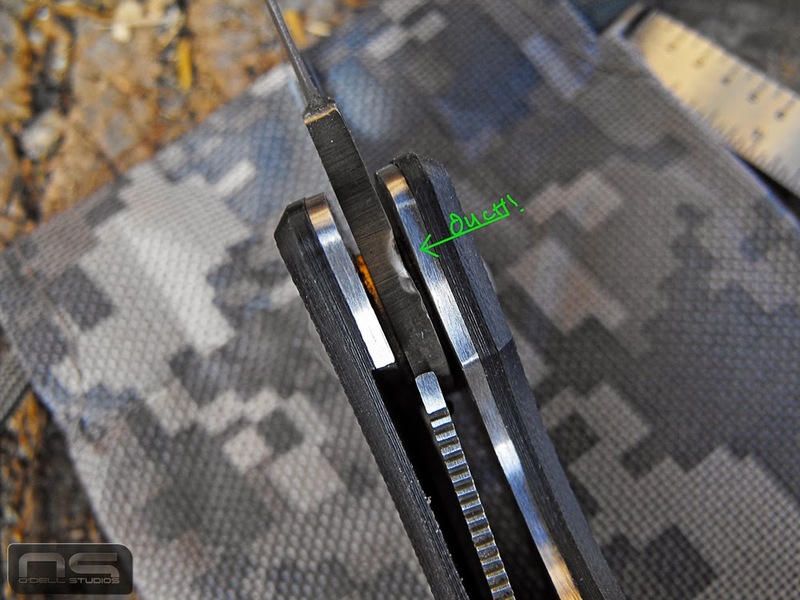 Here the blade is open slightly and you can see that from just a little bit of travel from the lanyard tube to this position the tip is out looking to stick somebody. It's plenty clear while closed but it almost has to be touching the lanyard tube to be safe.